Yesterday was 「子供の日」 (“Children’s Day“) in Japan. The final day of “Golden Week“. Today most everyone in Japan went back to work or school. 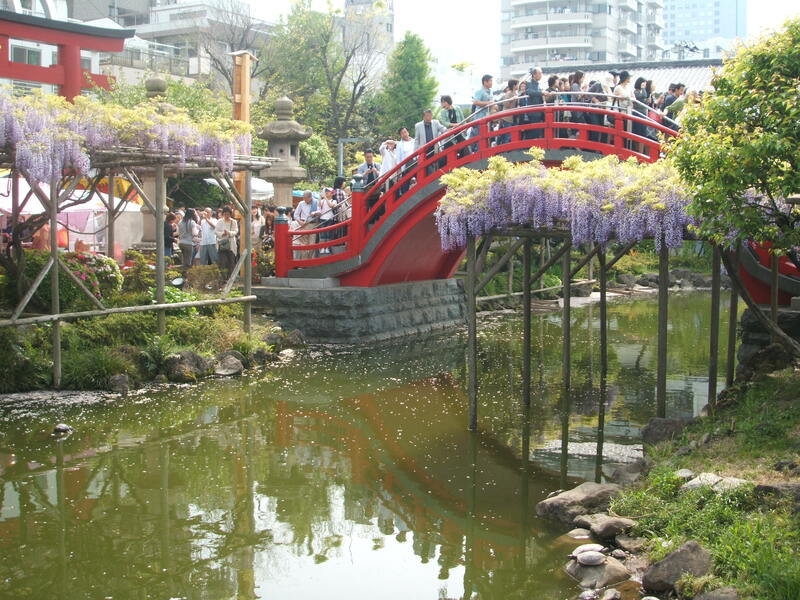 Yesterday, we went to the 「藤まつり」 (“Wisteria flower Festival”) at 「亀戸天神社」 (“Kameido Ten-Jinja Shrine”). 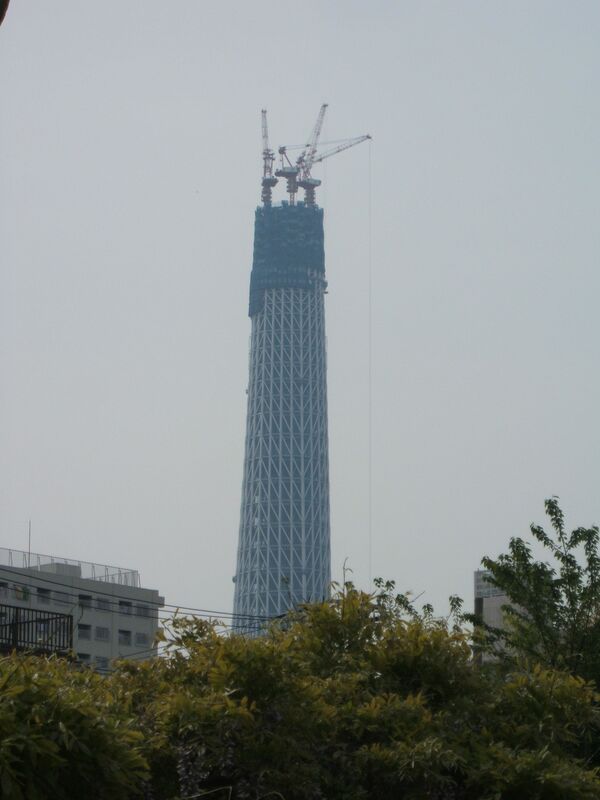 The "Tokyo Sky Tree" can be seen from this shrine. 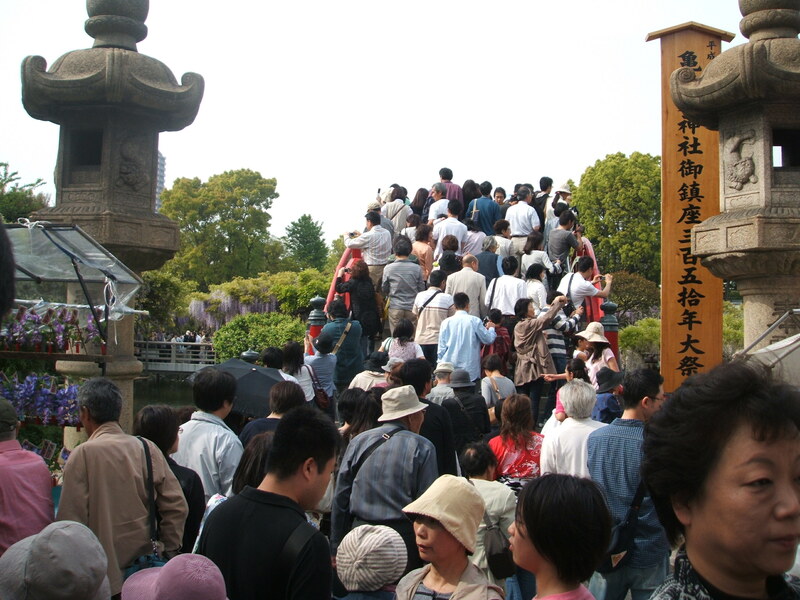 It was "Golden Week", so it was quite crowded. 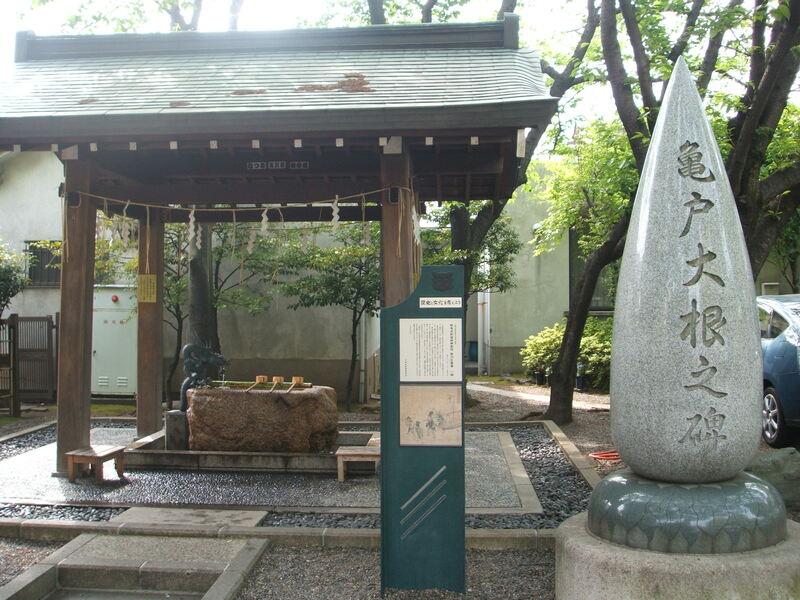 (Click here to see a post I wrote that has a picture of a 浮世絵 (traditional Japanese woodblock print) of this shrine, and how it hasn’t changed much since). 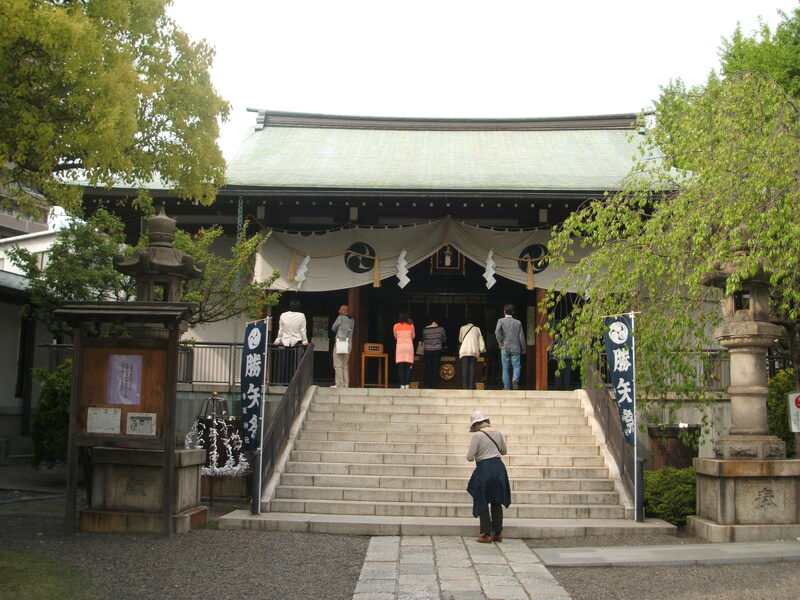 From there, we went to 「亀戸香取神社」 (“Kameido Katori Jinja Shrine“) which honors, among other things, 「亀戸大根」 (the “Kameido Daikon” giant Japanese radish). This radish grew in the Kameido area of Tokyo even during times of drought. 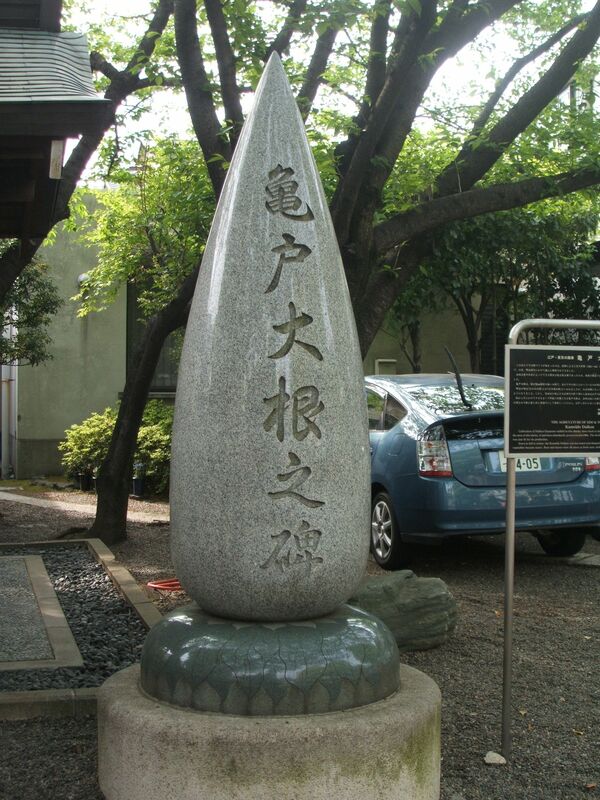 So this shrine lets people “thank” the Kameido Daikon for helping to keep the people of Japan from going hungry during hard times. 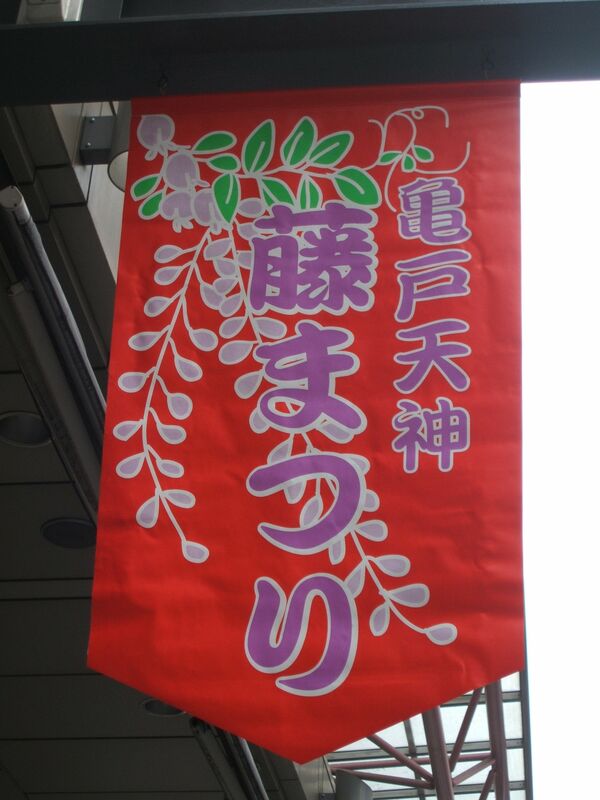 This sign says "Kameido Daikon". 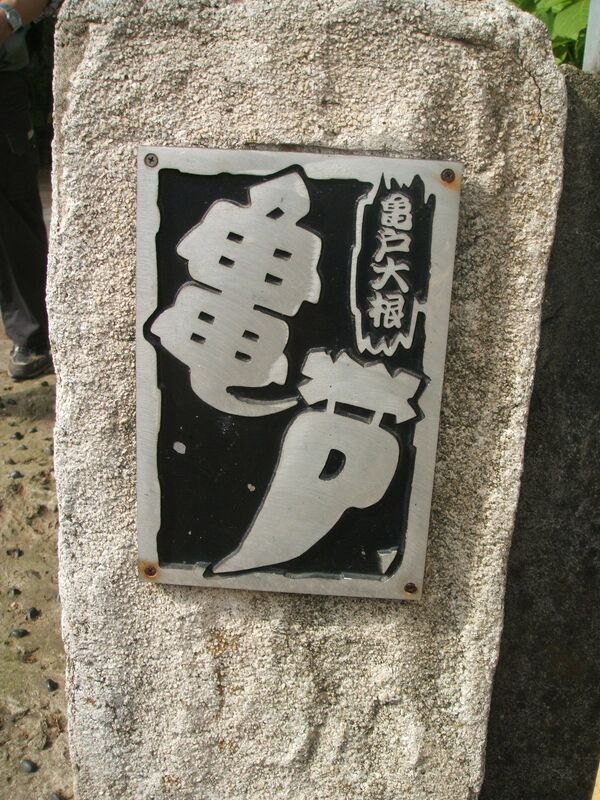 And "Kameido" is written with the characters resembling a turtle (for the town's name means "turtle door") and a Daikon radish. 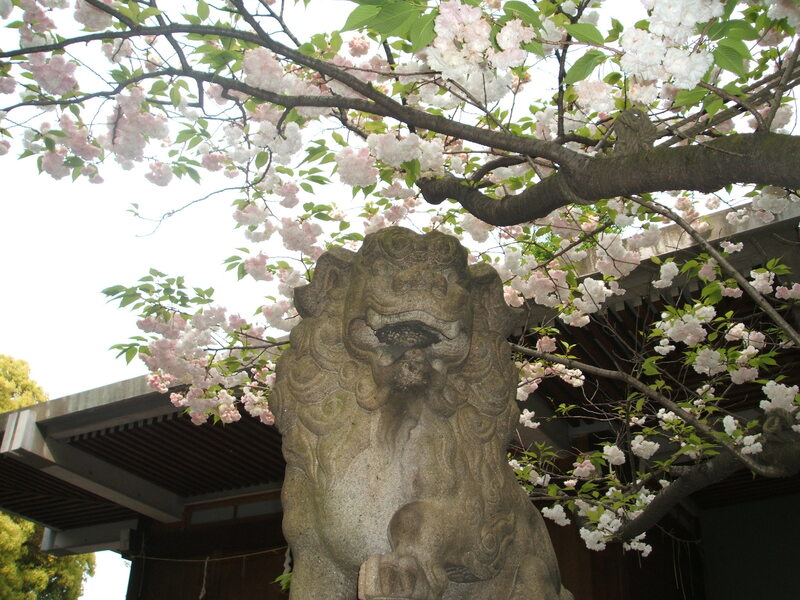 There were 八重桜 ("Leafy Sakura") in bloom. 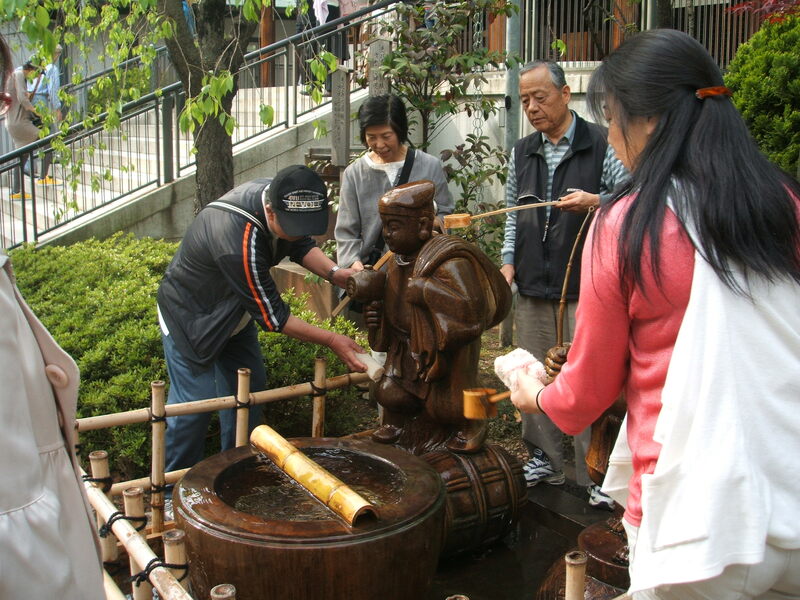 Wash 恵比寿様 (Ebisu-sama) and they'll ensure your good health and fortune. This is the wisteria I’d been hoping to see! It is so beautiful! Even before I left Canada a week before I’d thought I seen mention that the wisteria came early but I was still hopeful. Anyway it was what it was. 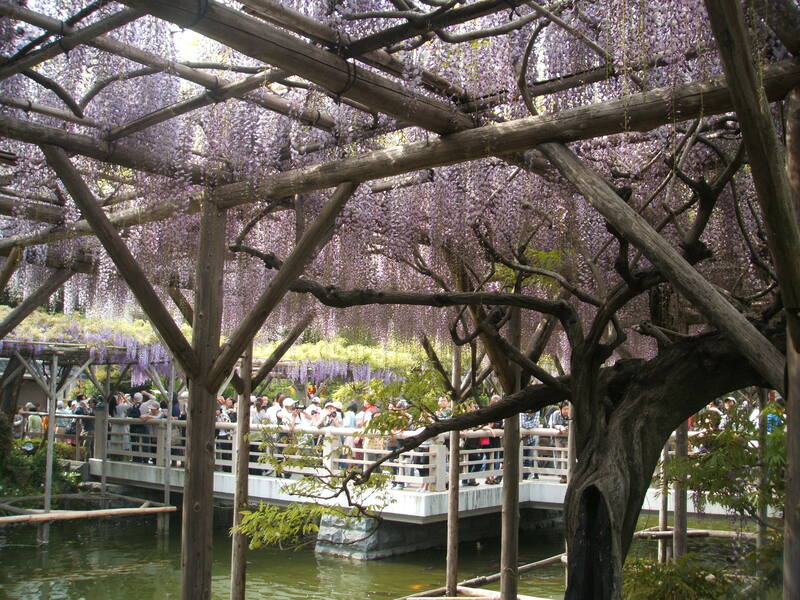 I missed the Golden Week crowds because the flowers were done, and the garden is so lovely – a true oasis in Tokyo. You should try again next year! Very fine pics you took. Tokyo looks like a beautiful city. Golden Week sounds like a fun time… cool post to show and tell what is happening over your way! >Very fine pics you took. >Tokyo looks like a beautiful city. It is. You should come see it. I didn’t know what a good place there is. Anyway, I know you like and are familiar with this kind of Japanese culture. So your other families like them, too? Or you always are said like “早く帰ろうよ！！” ? Yes, you should check it out next year. 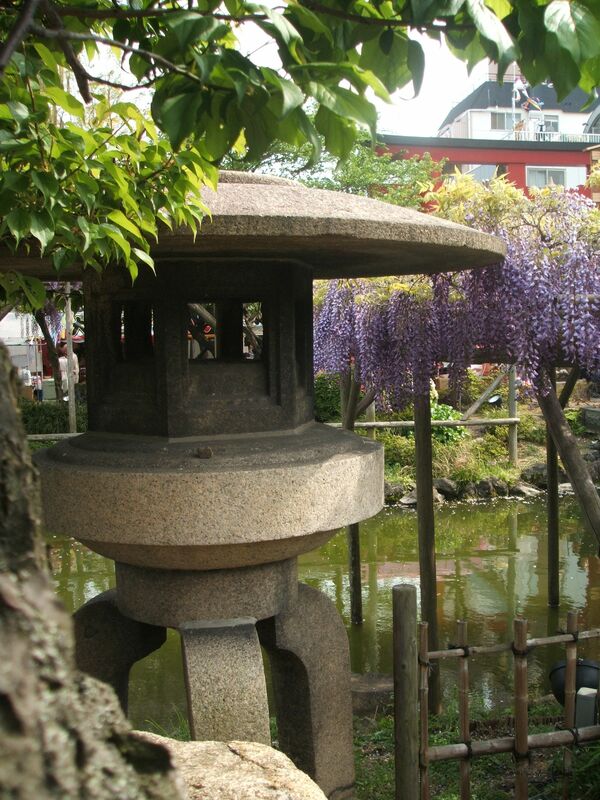 Kameido is well-known for it’s 藤まつり . And, yes, my kids aren’t really interested in this kind of thing. Actually, they didn’t join us this day…it was only my wife and I. My house is in kinshicho. I am close to everything. Kinshicho. I’ve been there many times. Yes. I am a video producer and photographer and i want to video all the events In Japan but there doesn’t seem to be a calendar of events that foriegners can follow. Please let’s team up and help the tourists. Have you video-taped many Japanese festivals already? All of the events in the whole country? > but there doesn’t seem to be a calendar of events that foriegners can follow. There are some…but I follow the event calendars in Japanese because they’re more accurate and up-to-date than the ones in English. As I mentioned above though, I wrote a “Festivals in Japan” page on this site. >Please let’s team up and help the tourists. If you have questions, let me know and I’ll do my best to help. I don’t think I could handle a crowd like that. I would’ve found an empty spot and watched from a distance. >I don’t think I could handle a crowd like that. I grew up in a small town. So I was overwhelmed by the crowds in Tokyo when I first arrived. But I love living in this big city…and I’m used to the crowds now. Doesn’t faze me anymore. >wanted to let you know that we posted a new song!…they actually let me sing this one. OK. I wanna hear you singing. I’ll check it out ASAP! 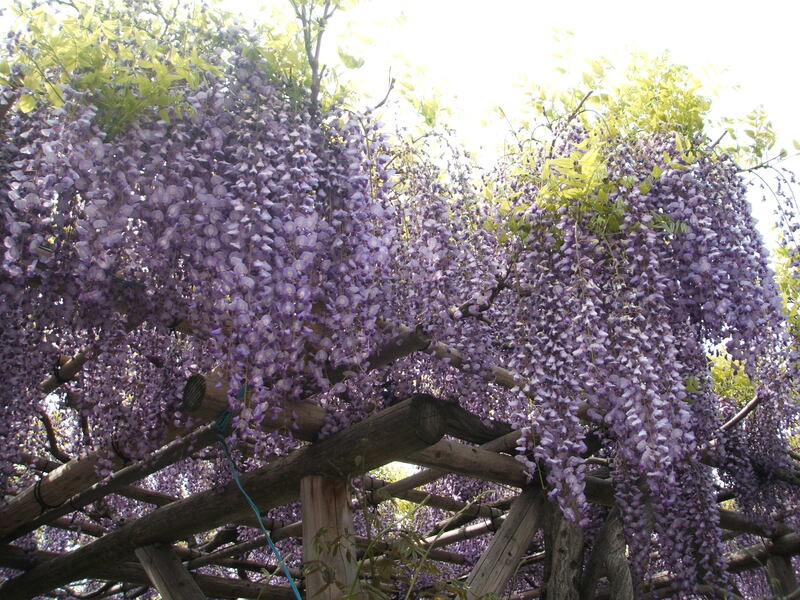 I have never seen wisteria in person. Your photos are beautiful! 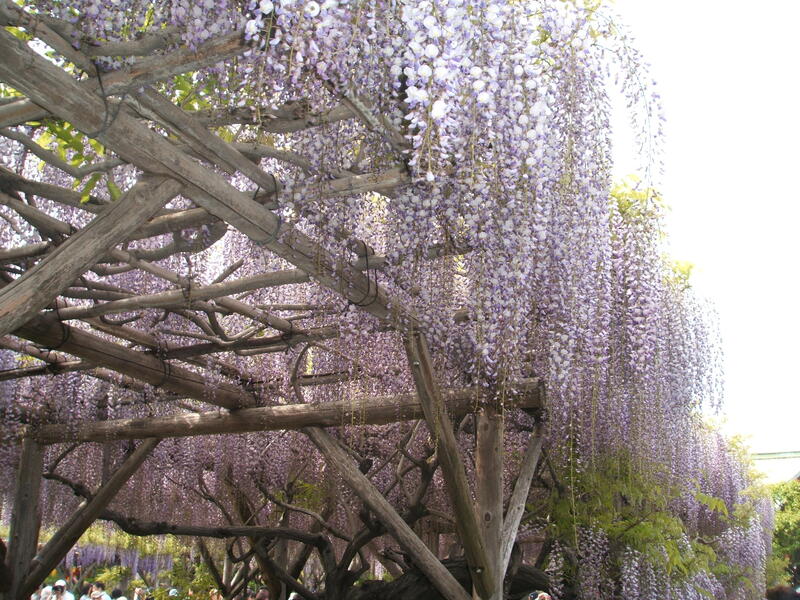 >I have never seen wisteria in person. 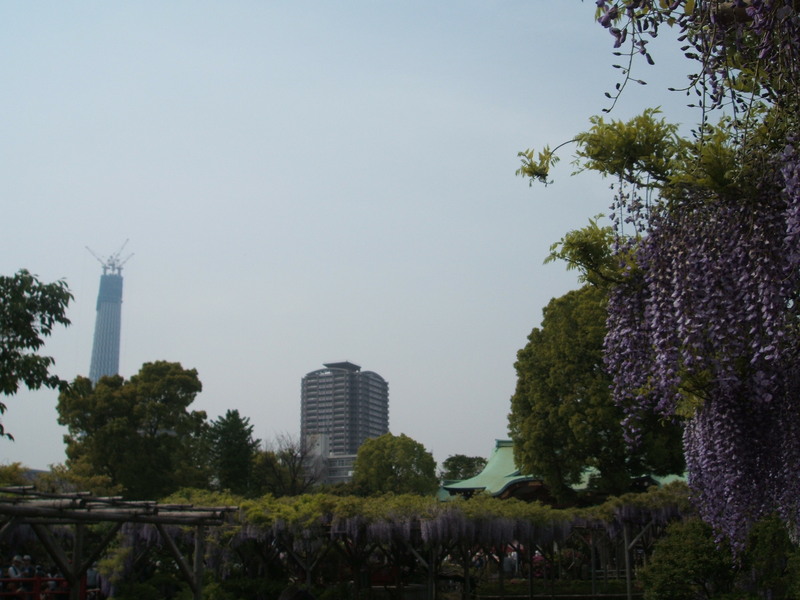 I saw on your blog that you’re coming to Tokyo tomorrow…right? So you can see them while you’re here. They’re in bloom now. Alas, we are staying only 3 hrs at Narita Airport before going to Hong Kong. I believe you mentioned before that your stop in Tokyo was only a lay-over in the airport. I was there! THere were so many people and bee’s. I will go back today to photograph the flowers. To many people yesterday. Whats next? Do you live in Tokyo? Visiting? Do you mean what festivals are coming up? If so…then, two of the biggest festivals in Tokyo are coming up. 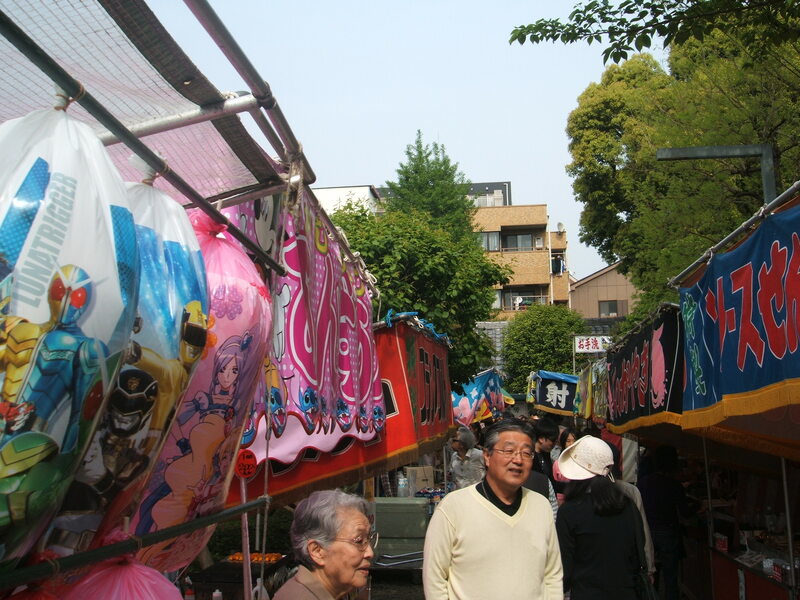 – The 「三社祭り」 (“Sanja Festival“) in Asakusa will be held on May 14 – 16. – The 「神田祭り」 (“Kanda Festival“) in Kanda will be help on May 15 – 16.